The Smithsonian Traveling Exhibit Service program, Museums on Main Street, brings exhibits to small towns across America. 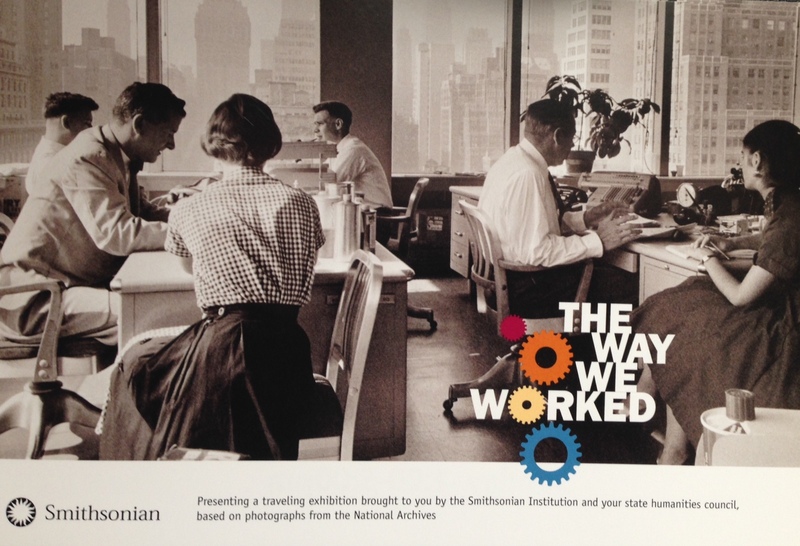 The most recent exhibit, “The Way We Worked,” showcases various working environments of American citizens, within the United States. This exhibit highlights the journey, struggle and triumph of the American workforce. One of Virginia Main Street’s Commercial District Affiliate partners, the town of Pulaski, currently has the exhibit at The Raymond F. Ratcliffe Transportation Museum through Aug. 15, and then it will travel to the Virginia Main Street designated community of Wytheville. Having a traveling exhibit in your community is a great way to bring “pop-up” vibrancy to a space, provide local citizens with Smithsonian-quality cultural heritage displays and get your community talking about its own stories.